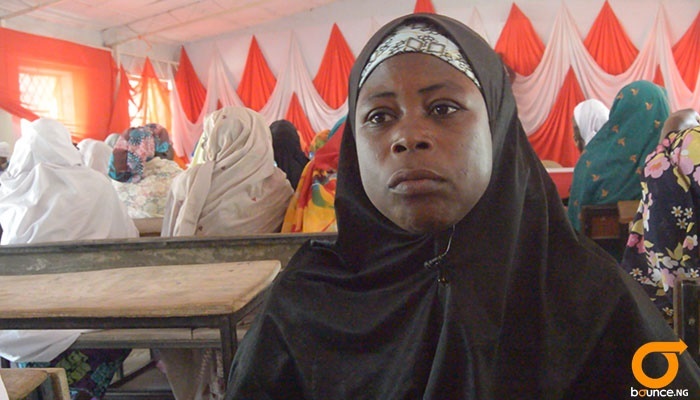 Sitting in her place of captivity with other kidnapped women, Haratu Musau was missing her husband and her community, Gwoza, which was overrun by Boko Haram. She is originally from Marghi, a border town between Borno State and Adamawa State. While she sat in her corner, her thoughts dwelt on her ill husband and young son. They had tried to force her husband and her eldest son who was 20 years to become members of the sect, but the man’s health prevented them from taking him by force. 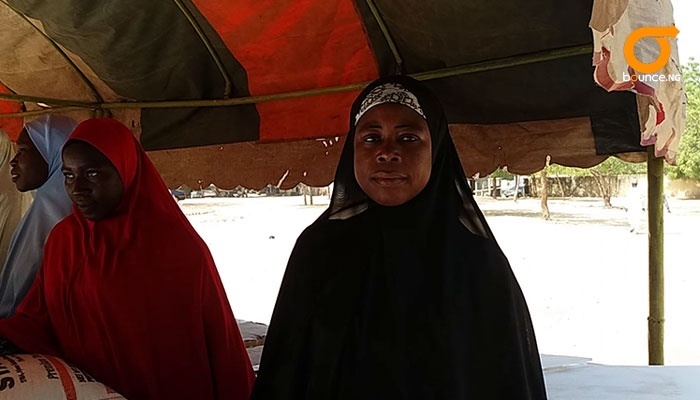 Her son had refused to join the sect, insisting that he wanted to go to school; but that statement got the members of Boko Haram, who kick against Western education, angry. Moments that bring tears to her eyes dominated her thoughts after spending at least 90 days in captivity with the dreaded sect. Suddenly, her mind snapped and she remembered her relatives, neighbours and friends. The thought of escaping from her captivity began to consume her. She managed to gather her children, the ones that Boko Haram left alive after they attacked her community and prepared for her moment to run. She had perfected the plan and the night slipped in as usual. Darkness was all she needed to make her escape from hell as her captors focused on attacking communities at night but paid less attention to captives. The night came and she gathered her children and sneaked out of the camp while others were asleep. Her bravery was followed by four nights in the bush that appeared endless. In one of those nights she lost a child to starvation. The little boy had become weak, having spent days without food or water. The child died and she mourned for hours, but managed to gather herself together and move on with others, who she needed to take to safety before hunger also claimed their souls. On the fourth day she could see her community and her hope and joy returned. Haratu’s happiness, however, lasted for just a few minutes after she was spoted by her people. The few months she was away had changed their perception about her and her children. “She is Boko Haram’s wife and her children are Boko haram children,” many of them shouted. “They grabbed me and my children. One of them placed a knife on my neck, but another person among them reminded them that killing a woman was evil. “They left me and held one of my sons and I shouted; "not Mohammed! ", When they heard his name was Mohammed, they quickly left him and decided to chase us out of the community," she told Bounce News in Borno. They handed her and the children over to the military because they still believed they were members of Boko Haram and the military took them to Giwa Barracks. Haratu, 45, was separated from her husband who had to go and receive treatment in Abuja for his ailment. That was the last time she saw him. She spent four months at the barrack and was made to undergo rehabilitation even when she was not a member of Boko haram. After the rehabilitation, she was taken to an Internally Displaced Persons’ camp where indigenes of Gwoza were hosted, but her struggle returned. It appeared her abduction had become a nightmare that has refused to go away, as indigenes of her community began to refer to her and her family as Boko Haram. 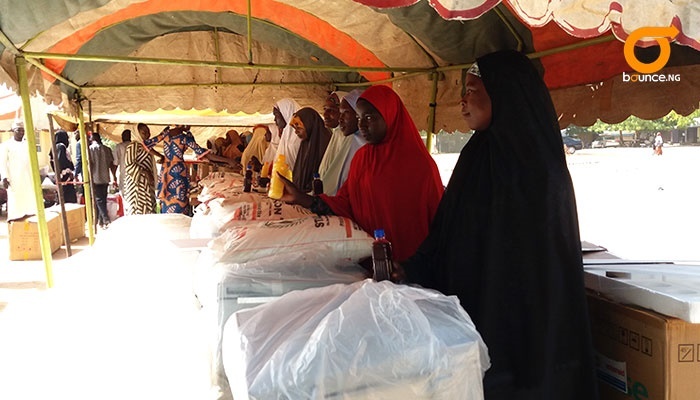 However, Haratu’s stay in the Internally Displaced Persons’ camp in Maiduguri was also a blessing. Her story did become that of hope when she was selected by ActionAid as one of the women to be empowered. She was enlisted for the training where she was learnt on how to make jiuce. After her training, she found joy again and her life is taking shape. With her start up kits - refrigerator, cooler, plastic containers, she can begin her juice making business and fend for her children while she hopes to meet her husband again - perhaps in this life time or beyond.